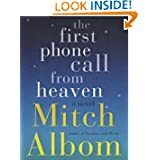 The First Phone Call from Heaven tells the story of a small town on Lake Michigan that gets worldwide attention when its citizens start receiving phone calls from the afterlife. Is it the greatest miracle ever or a massive hoax? Sully Harding, a grief-stricken single father, is determined to find out. An allegory about the power of beliefâ€”and a page-turner that will touch your soulâ€”Albom’s masterful storytelling has never been so moving and unexpected. Readers of The Five People You Meet in Heaven will recognize the warmth and emotion so redolent of Albom’s writing, and those who haven’t yet enjoyed the power of his storytelling, will thrill at the discovery of one of the best-loved writers of our time. 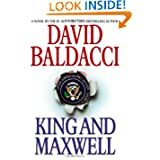 David Baldacci brings back Sean King and Michelle Maxwell–former Secret Service agents turned private investigators–in their most surprising, personal, and dangerous case ever . . .
At long last, the epic biography Ted Williams deserves–and that his fans have been waiting for. Williams was the best hitter in baseball history. His batting average of .406 in 1941 has not been topped since, and no player who has hit more than 500 home runs has a higher career batting average. Those totals would have been even higher if Williams had not left baseball for nearly five years in the prime of his career to serve as a Marine pilot in WWII and Korea. He hit home runs farther than any player before him–and traveled a long way himself, as Ben Bradlee, Jr.’s grand biography reveals. Born in 1918 in San Diego, Ted would spend most of his life disguising his Mexican heritage. During his 22 years with the Boston Red Sox, Williams electrified crowds across America–and shocked them, too: His notorious clashes with the press and fans threatened his reputation. Yet while he was a God in the batter’s box, he was profoundly human once he stepped away from the plate. His ferocity came to define his troubled domestic life. 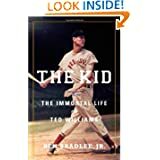 While baseball might have been straightforward for Ted Williams, life was not.THE KID is biography of the highest literary order, a thrilling and honest account of a legend in all his glory and human complexity. In his final at-bat, Williams hit a home run. Bradlee’s marvelous book clears the fences, too. The autobiography every true American has been waiting for: a shockingly candid and raw confessional from a national treasure. 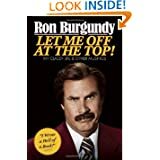 From his humble beginnings in a desolate Iowa coal mining town, his years at Our Lady Queen of Chewbacca High School to his odds-defying climb to the dizzying heights of becoming Americaâ€™s most trusted and beloved television News Anchor, Ron Burgundy pulls no punches in Let Me Off at the Top! In his very own words Burgundy reveals his most private thoughts, his triumphs and his disappointments. His life reads like an adventure story complete with knock down fights, beautiful women and double-fisted excitement on every page. He has hunted jackalopes with Bobby Kennedy and Peter Lawford, had more than his share of his amorous exploits, and formed the greatest on-air team in the history of televised news. Along the way, he hobnobbed with people you wish you knew and some you honestly wish you didn’t — celebrities, presidents, presidents’ wives, celebrities’ wives, dogs, and, of course Veronica Corningstone, the love of his life. Walter Cronkite, Barbra Streisand, Katie Couric, the list goes on. Who didnâ€™t Mr. Burgundy, or â€œRonâ€ as he is known to his friends, rub elbows with in the course of his colorful and often criminal life? This may well be the most thrilling book ever written, by a man of great physical, moral and spiritual strength and not surprisingly a great literary talent as well. This book deserves a real shot at a Pulitzer Prize. In fact if it doesnâ€™t win one then we will finally have proof that the Pulitzer is rigged. Ron Burgundy has taken the time to write a book. We owe it to him, as honest Americans, to read it. Special Agent Pendergast arrives at an exclusive Colorado ski resort to rescue his protÃ©gÃ©e, Corrie Swanson, from serious trouble with the law. His sudden appearance coincides with the first attack of a murderous arsonist who–with brutal precision–begins burning down multimillion-dollar mansions with the families locked inside. After springing Corrie from jail, Pendergast learns she made a discovery while examining the bones of several miners who were killed 150 years earlier by a rogue grizzly bear. Her finding is so astonishing that it, even more than the arsonist, threatens the resort’s very existence. 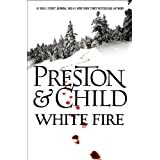 Now, with the ski resort snowed in and under savage attack–and Corrie’s life suddenly in grave danger–Pendergast must solve the enigma of the past before the town of the present goes up in flames. Thereâ€™s a new strong man in Russia but his rise to power is based on a dark secret hidden decades in the past. The solution to that mystery lies with a most unexpected source, President Jack Ryan. Massachusetts Chief Medical Examiner Kay Scarpetta has just returned from working one of the worst mass murders in U.S. history when sheâ€™s awakened at an early hour by Detective Pete Marino. A body, oddly draped in an unusual cloth, has just been discovered inside the sheltered gates of MIT and itâ€™s suspected the identity is that of missing computer engineer Gail Shipton, last seen the night before at a trendy Cambridge bar. It appears sheâ€™s been murdered, mere weeks before the trial of her $100 million lawsuit against her former financial managers, and Scarpetta doubts itâ€™s a coincidence. She also fears the case may have a connection with her computer genius niece, Lucy. At a glance there is no sign of what killed Gail Shipton, but sheâ€™s covered with a fine dust that under ultraviolet light fluoresces brilliantly in three vivid colors, what Scarpetta calls a mineral fingerprint. 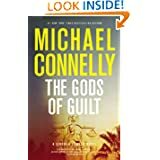 Clearly the body has been posed with chilling premeditation that is symbolic and meant to shock, and Scarpetta has reason to worry that the person responsible is the Capital Murderer, whose most recent sexual homicides have terrorized Washington, D.C. Stunningly, Scarpetta will discover that her FBI profiler husband, Benton Wesley, is convinced that certain people in the government, including his boss, donâ€™t want the killer caught. 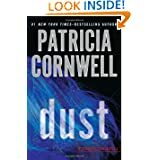 In Dust, Scarpetta and her colleagues are up against a force far more sinister than a sexual predator who fits the criminal classification of a â€œspectacle killer.â€ The murder of Gail Shipton soon leads deep into the dark world of designer drugs, drone technology, organized crime, and shocking corruption at the highest levels. With unparalleled high-tension suspense and the latest in forensic technology, Patricia Cornwell once again proves her exceptional ability to surpriseâ€”and to thrill. 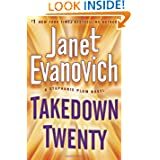 Janet Evanovich continues the Stephanie Plum series with the 20th installment, Takedown Twenty. Fans of the series know protagonist Stephanie Plum as a bond enforcement officer by day and bounty hunter on the side. In the latest addition, Plum tracks down neighborhood gangsters, a giraffe on the loose, and a notorious crime boss who may be her future father-in-law. With strong female companions at her side, Plum finds trouble at every turn in Takedown Twenty. Whether you are a long-time reader of the series or meeting these characters for the first time, this analysis is an ideal reading aid for the adventures within Evanovich’s novel. The New York Times bestselling author provides more than just a suspenseful mystery; she entertains her readers with romantic drama and a touch of humor in Takedown Twenty. While facing dangers on the streets of present-day Trenton, Plum struggles to create a happy personal life. The female protagonist is adept at her job but cannot seem to choose between her two lovers. Janet Evanovich creates a fast-paced, entertaining story within a realistic setting featuring modern elements. Takedown Twenty is fun to read as an entertainment source, and this analysis takes you deeper into the characters and underlying themes. On November 22 , 1963, three shots were fired in Dallas, President John F. Kennedy was assassinated, and the world stopped for four days. For an entire generation, it was the end of an age of innocence. 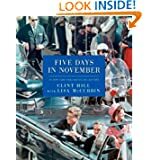 Now Secret Service Agent Clint Hill commemorates the fiftieth anniversary of the tragedy with this stunning book containing more than 150 photos, each accompanied by Hillâ€™s incomparable insider account of those terrible days. With poignant narration accompanying rarely seen images, we witness three-year-old John Kennedy Jr.â€™s pleas to come to Texas with his parents and the rapturous crowds of mixed ages and races that greeted the Kennedys at every stop in Texas. We stand beside a shaken Lyndon Johnson as he is hurriedly sworn in as the new president. We experience the first ladyâ€™s steely courage when she insists on walking through the streets of Washington, D.C., in her husbandâ€™s funeral procession. 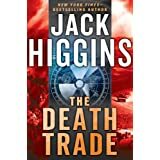 The master of suspense returns with a cutting-edge tale that pits his heroes Sean Dillon and Sara Gideon against the nuclear ambitions of Iran. Â An eminent Iranian scientist has made a startling breakthrough in nuclear weapons research, but he canâ€™t stand the thought of his regime owning the bomb. He would run if he could, but if he does, his family dies. He is desperate; he doesnâ€™t know what to do. 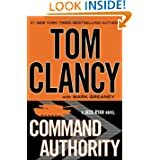 It is up to Sean Dillon and the rest of the small band known as the Prime Ministerâ€™s private army to think of a plan. Most particularly, it is up to their newest member, an intelligence captain and Afghan war hero named Sara Gideon, who thinks there just might be a way to pull it off. But plans have a way of encounteringÂ the unexpected. And as the operation spins out, from Paris and Syria to Iran and the Saudi Arabian desert, there is very much that is unexpected indeed. And much blood that will be spilled. In The Shoemaker’s Wife Adriana Trigiani swept her readers across generations of an Italian family, from the Italian Alps at the turn of the twentieth century to the cobblestone streets of Little Italy. 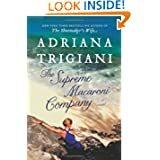 In The Supreme Macaroni Company, she weaves a heartbreaking story that begins on the eve of a wedding in New York’s Greenwich Village, travels to New Orleans, and culminates in Tuscany. Family, work, romance, and the unexpected twists of life and fate all come together in an unforgettable narrative that Adriana Trigiani’s many fans will adore. A bare-knuckled, tell-all memoir from Mike Tyson, the onetime heavyweight champion of the worldâ€”and a legend both in and out of the ring. Â Philosopher, Broadway headliner, fighter, felonâ€”Mike Tyson has defied stereotypes, expectations, and a lot of conventional wisdom during his three decades in the public eye. Bullied as a boy in the toughest, poorest neighborhood in Brooklyn, Tyson grew up to become one of the most thrilling and ferocious boxers of all timeâ€”and the youngest heavyweight champion ever. But his brilliance in the ring was often compromised by reckless behavior. Years of hard partying, violent fights, and criminal proceedings took their toll: by 2003, Tyson had hit rock bottom, a convicted felon, completely broke, the punch line to a thousand bad late-night jokes. Yet he fought his way back; the man who once admitted being addicted â€œto everythingâ€ regained his success, his dignity, and the love of his family. With a triumphant one-man stage show, his unforgettable performances in the Hangover films, and his newfound happiness and stability as a father and husband, Tysonâ€™s story is an inspiring American original. 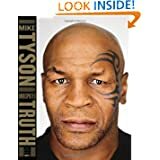 Brutally honest, raw, and often hilarious, Tyson chronicles his tumultuous highs and lows in the same sincere, straightforward manner we have come to expect from this legendary athlete. A singular journey from Brooklynâ€™s ghettos to worldwide fame to notoriety, and, finally, to a tranquil wisdom, Undisputed Truth is not only a great sports memoir but an autobiography for the ages.